Experience the beauty of ceramic tile and natural stone. At Carpet Mill Outlet Flooring Stores we have a stunning selection of floor tiles and wall tiles designs. You will find everything from distinctive European inspiration to unique contemporary looks. 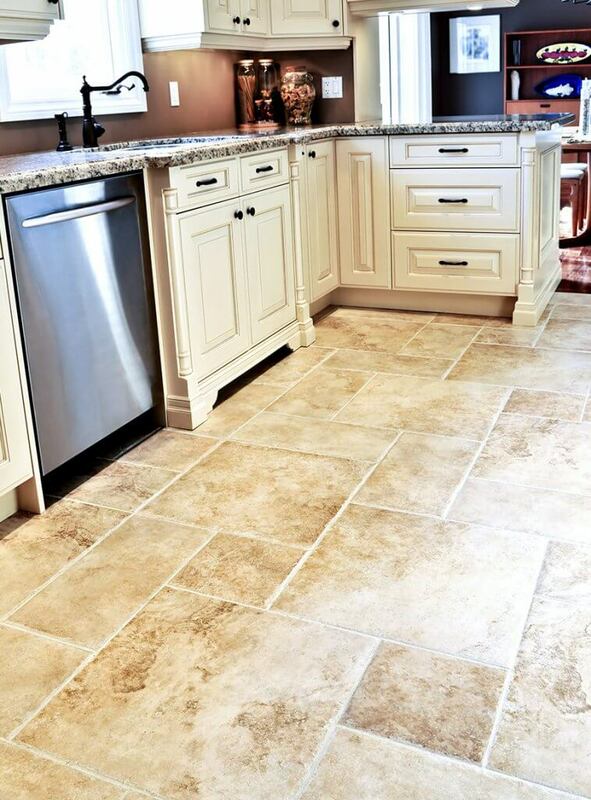 We pride ourselves in being #1 resource for ceramic tile and stone flooring in Denver. Ceramic tile flooring has been a popular material for interior and exterior decoration for thousands of years. They come in all shapes and sizes, colors and glazes and can be used plain, decorated or as part of a mosaic. Ceramic tiles are a popular choice of flooring due to their aesthetic appeal, as well as their durability and ease of care. When ceramic tile flooring is properly installed, it will outperform and outlast nearly any other flooring products and materials created for the same application. Glazed ceramic tile flooring resists stains, odors and dirt and can be cleaned with a damp mop or common household cleaners. At Carpet Mill Outlet Flooring Stores all our tile shops in Denver carry Grade III and Grade IV glazed ceramic tile flooring which are extremely scratch resistant which means that you no longer need to worry about a cut or tear like you do with other floor coverings. 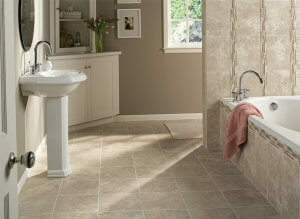 How great it would be if you could immediately know which ceramic tile is best suited for a particular room? That is exactly what Carpet Mill helps its customers with, finding the perfect flooring selection to bring out the best in their homes and work spaces. At Carpet Mill, customer satisfaction is our number one priority. Our team of professionals makes sure that they help our customers choose the right product according to their budget and needs, thus providing them with an amazing shopping experience. It makes us happy to see our customers happy. With our incredible selection and top notch customer service, we are the perfect choice for you when it comes to shopping for the best in ceramic tile. In addition, there has been a resurgence of more traditional looks with terracotta and other natural unglazed finishes. If you are looking for the most suitable floor tiles and stone in Denver then you’ve come to the right place. Cleanliness: Environmentally friendly, ceramic tile is manufactured using natural flooring materials and does not retain odors, allergens or bacteria. Fire Resistance: Ceramic tile doesn’t burn or emit toxic fumes. Even hot kitchen pans or skillets can’t scorch or melt the surface of glazed ceramic tile! In short, ceramic tile flooring is a timeless, luxurious and durable flooring choice that offers a unique opportunity for self-expression because of its detail, flexibility and sheer beauty. From simple terracotta tiles to highly decorated tiles that create intricate mosaics, ceramic tile offers a level of versatility that makes the possibilities truly endless. For superior selection, quality and customer service Carpet Mill Outlet Stores are the best tile stores in Denver. 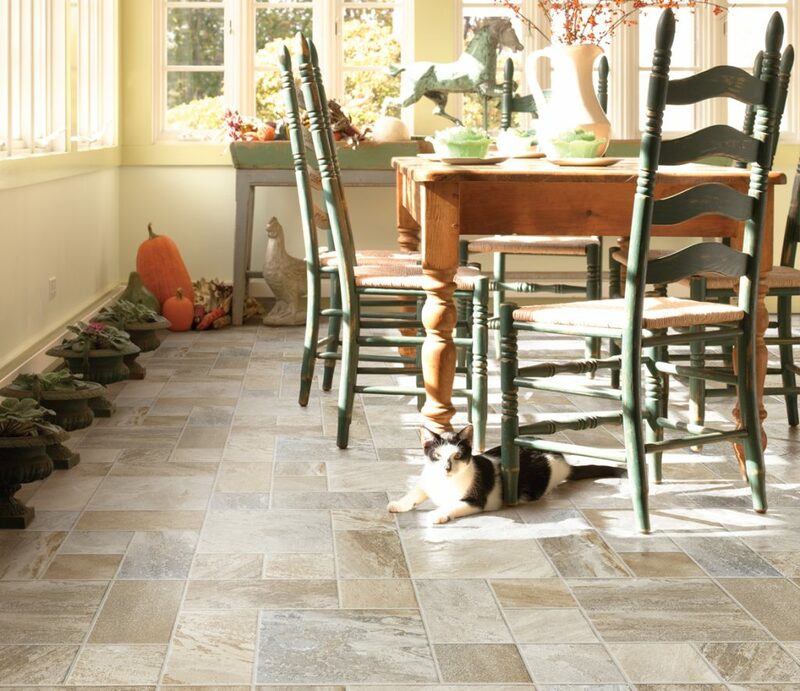 Stop in today to speak with our expert staff about which ceramic tile flooring is best for your space. 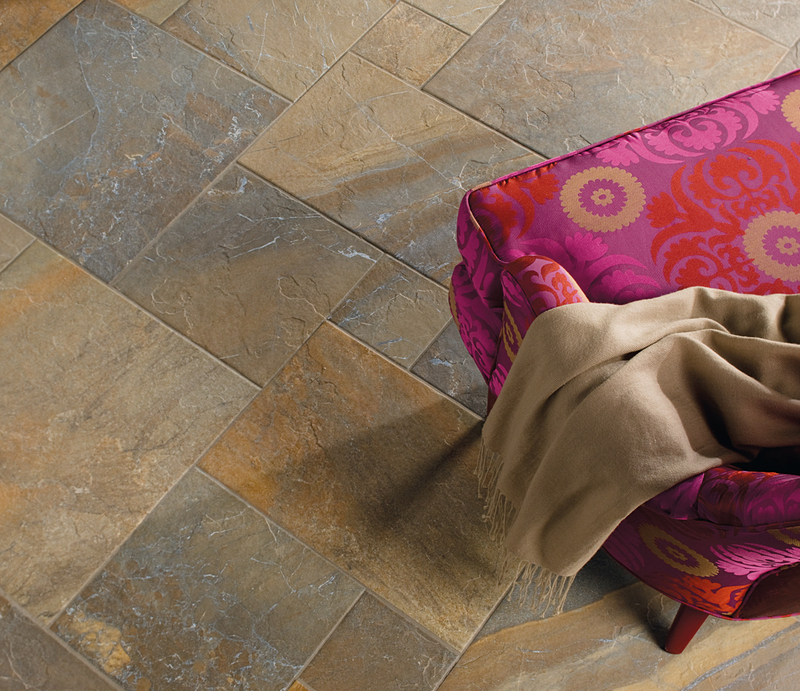 Stone floors are natural, beautiful, and always stylish. 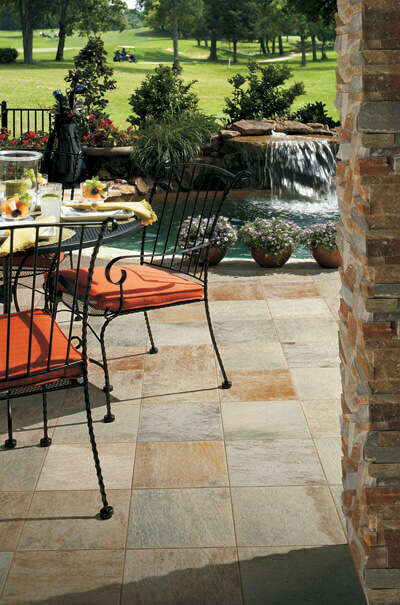 The naturally cool, hard surface is ideal for warm climates and does not harbor dust or allergens. Before choosing a specific type of stone, educate yourself to find the best fit. Many of the upsides to stone flooring coincide with that of tile in that it is easy to clean, it’s fire resistant, there are versatile options and most are water resistant as well. The options we carry for stone flooring are so versatile, you can choose beautiful finishes for inside and outside! Our affordable flooring options would complete a beautiful outdoor patio or barbecue space, as well as bring life to any room or space inside your home or business. Stone is so much more than dark slabs of material. With hundreds of available varieties, this in-demand stone can be flamed for slip-resistant texture in busy kitchens and bathrooms. Known for its natural, earthen appearance, limestone is formed from sedimentary materials, such as coral and shells. Unlike some stones, when limestone is cut from the same slab, it has little color variation from tile to tile. The stone can be sanded perfectly smooth for a soothing, refined look, or machine-tumbled for a worn look. If you use limestone in a room where acidic liquids might spill, consider sealing this porous material every few years. A rustic classic available in geometric pieces and irregular shapes, slate is usually found in dark gray, soft red, and medium green. This crystallized, partially metamorphosed limestone is often mistaken for marble. Stone tiles have been used in home interiors for thousands of years. They are made by slicing boulders and slabs of rock into thin squares or rectangles. The appearance of stone varies from tile to tile due to veining, natural imperfections, and even fossils. Color palettes also vary by the type of stone and location of the quarry. Speak to our tile and flooring experts today about which ceramic or stone flooring is best for your space and get started today! Carpet Mill Outlet Stores across the Front Range carry a variety of ceramic tile flooring, stone flooring and other hard surface flooring options. Visit any of our locations in Arvada, Aurora, Evergreen, Fort Collins, Highlands Ranch, Lakewood, Littleton and Thornton today!